From today's EMiniPlayer.net Trade Plan: The buying from Tuesday's Close continued in the Globex session. 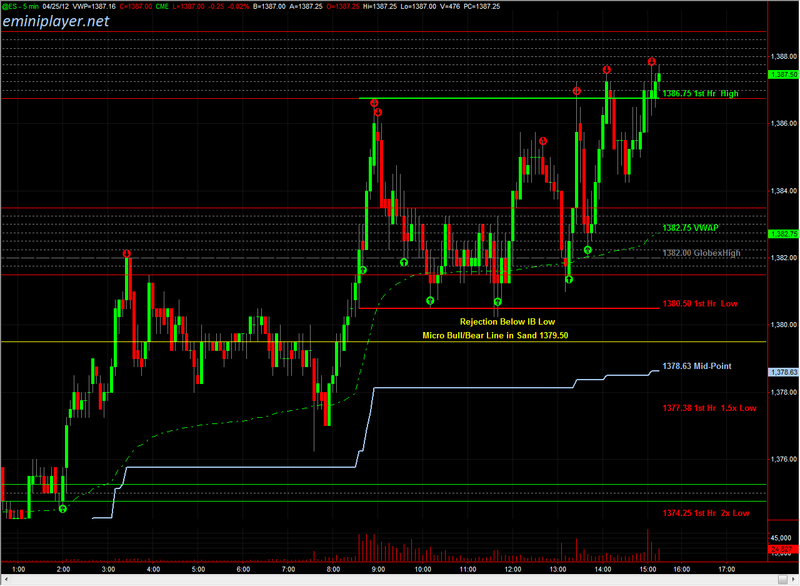 Responsive Sellers capped the upside at the 1381.50-1383.50 Key Resistance. Heading into the day session, we have Initial Resistance at 1381.50-1383.50, followed by 1386.75-1388.75...Price typically remains in a narrow range ahead of the FOMC Announcement. Buyers are in Control, and a bullish Response to FOMC could result in a test of the 1386.75-1388.75 and 1391-1393 Resistance Zones today. 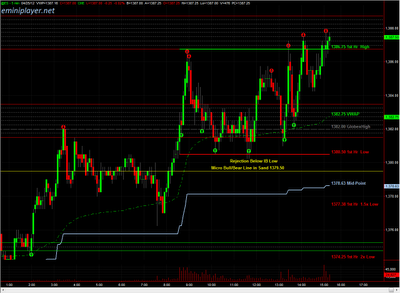 Use the Opening Range and the 1379.50 Micro Bull/Bear Line in Sand to establish immediate bias.